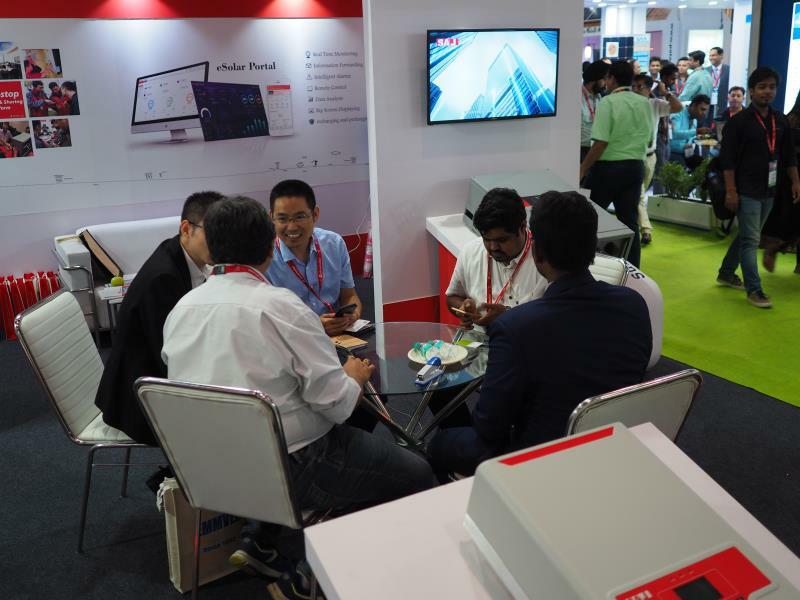 Several international pv exhibitions have been held in different countries recently. 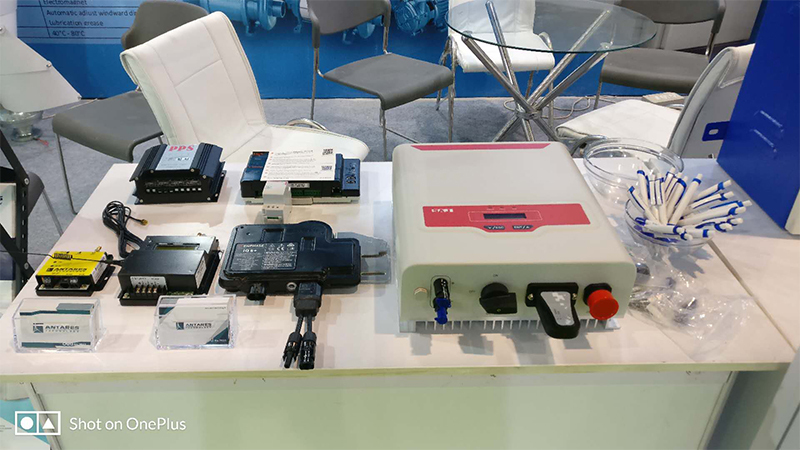 PV enterprises from different regions around the whole world show their core products on those exhibitions. 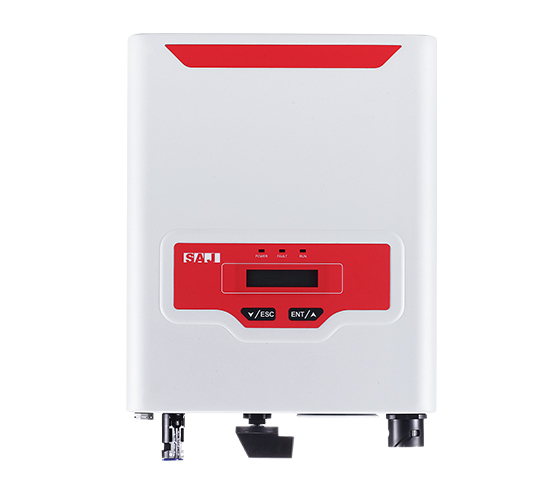 Among them, SAJ inverters shine brightly in a large number of presented products. 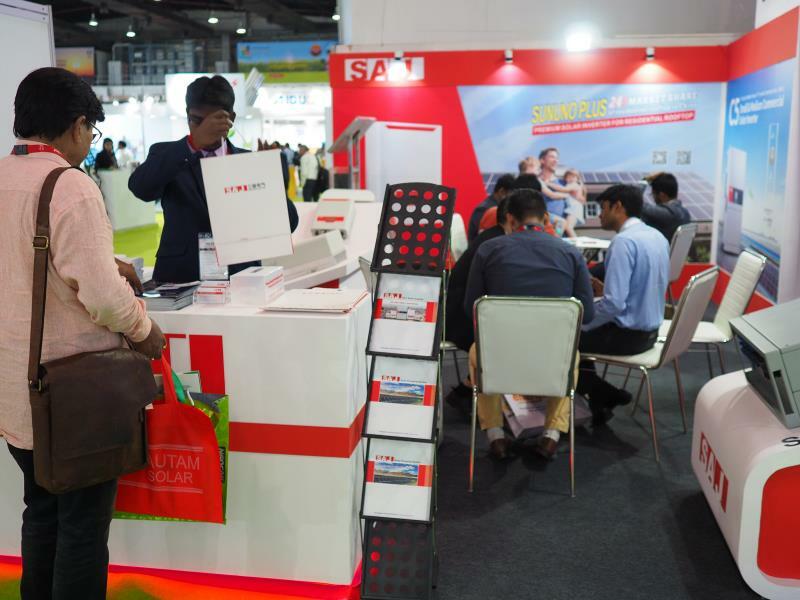 Even partners actively show products of SAJ actively in exhibitions in foreign countries. 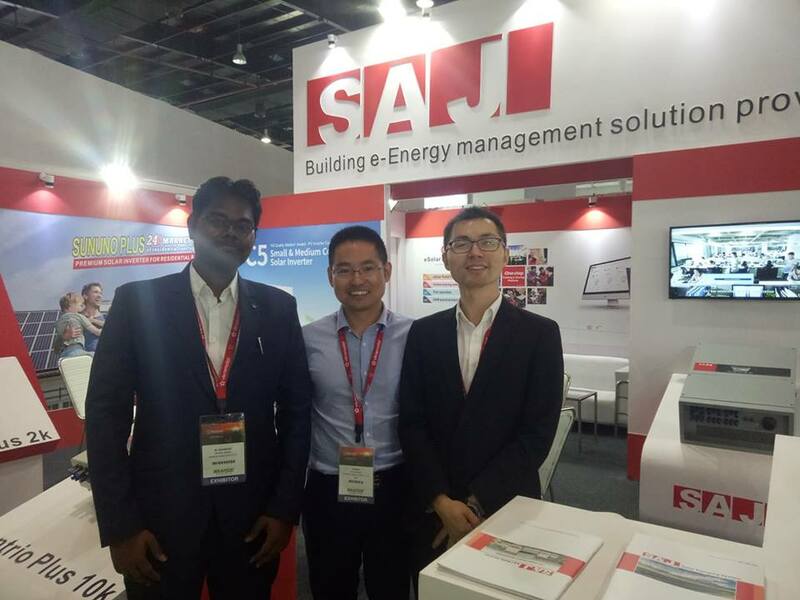 This fully shows that product quality and service of SAJ have been fully recognized and well accepted by international users. 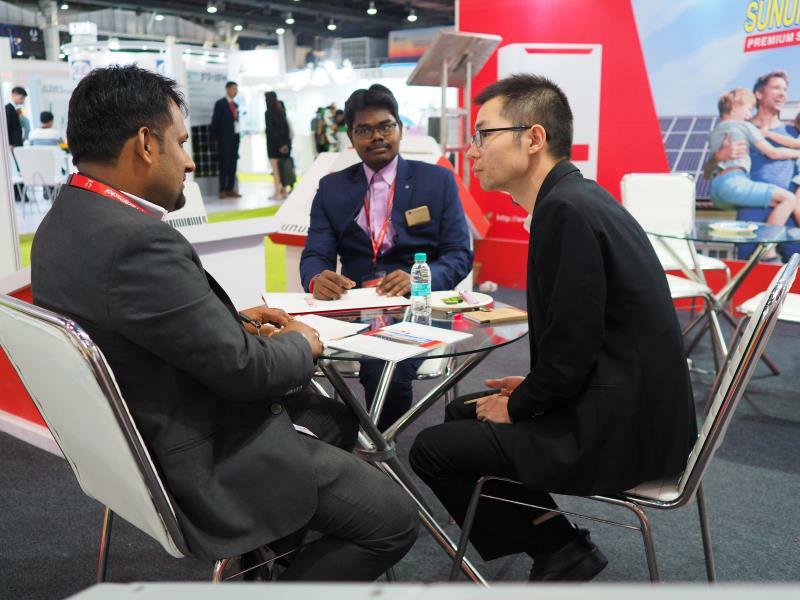 We wish to create win-win results with various international partners and contribute more to the sounding development of the global PV market! 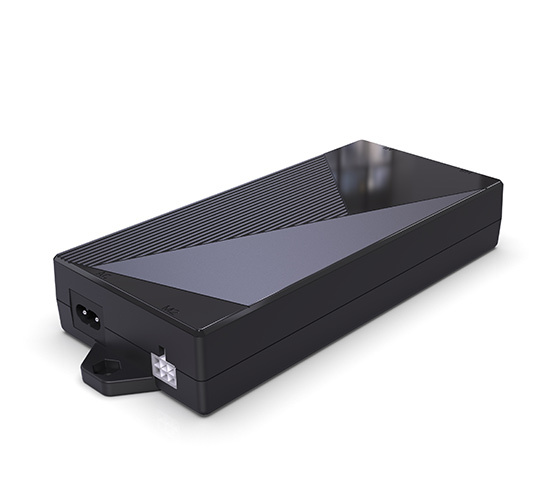 REI is a communication platform for new energy technologies such as solar energy, wind energy and electric energy conservation. 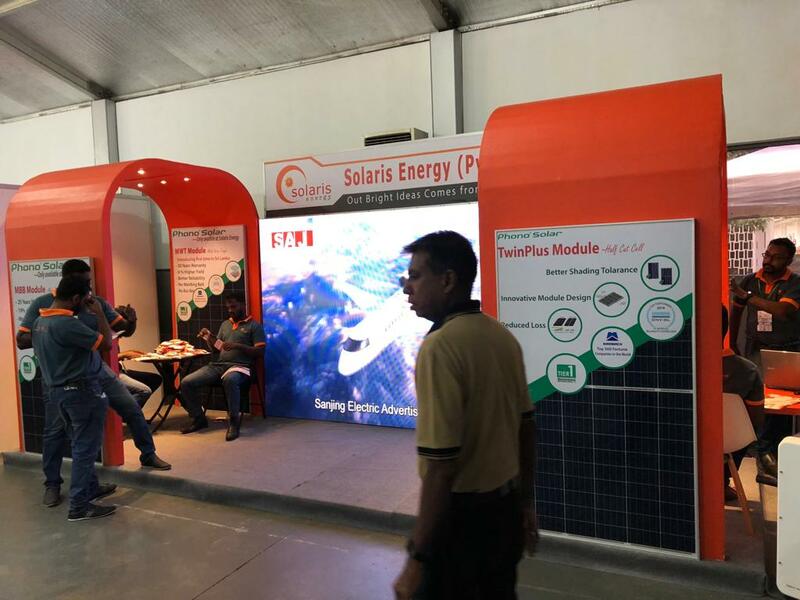 Its purpose is to promote the development and research of popularization and application of green energy such as wind energy and solar energy in daily life, in order to accelerate development and learning of renewable energy in India. With the support of Indian government, REI has attracted many investors in the energy industry and is an excellent platform for companies to develop new energy market in India. 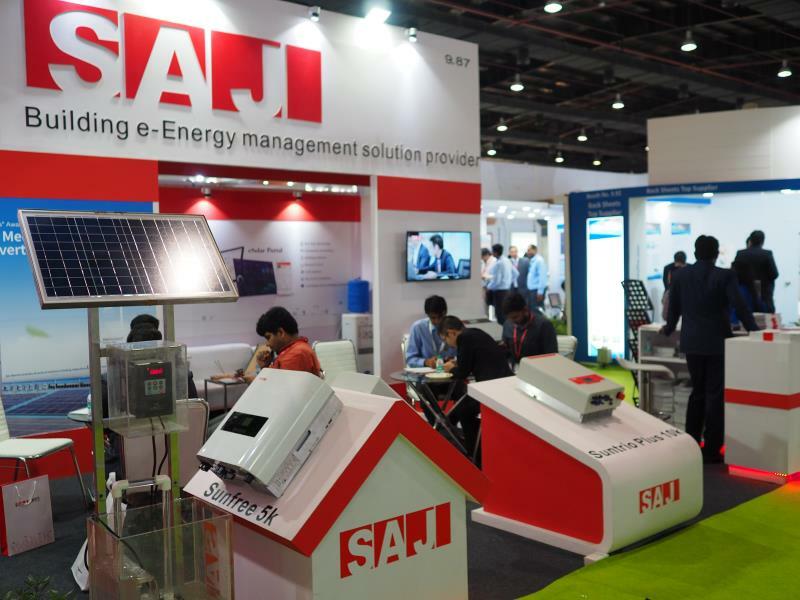 In this exhibition, SAJ Electric manly presented 2kW and 10kW inverters for residential use, 50kW inverters for commercial use and residential energy storage 5kW inverters. 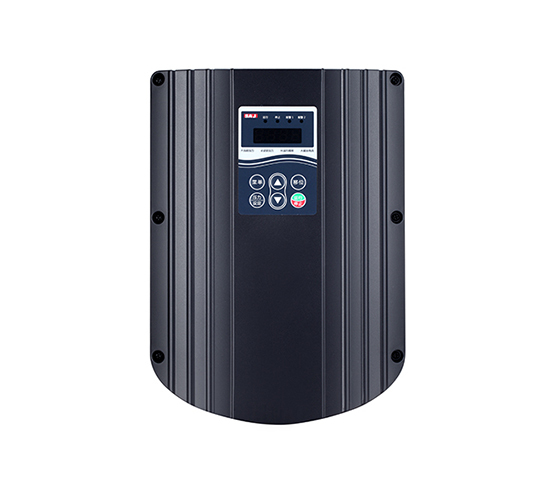 Moreover, solutions matched with those products are presented, including solar pumping system solution and eSolar one-stop monitoring solution. 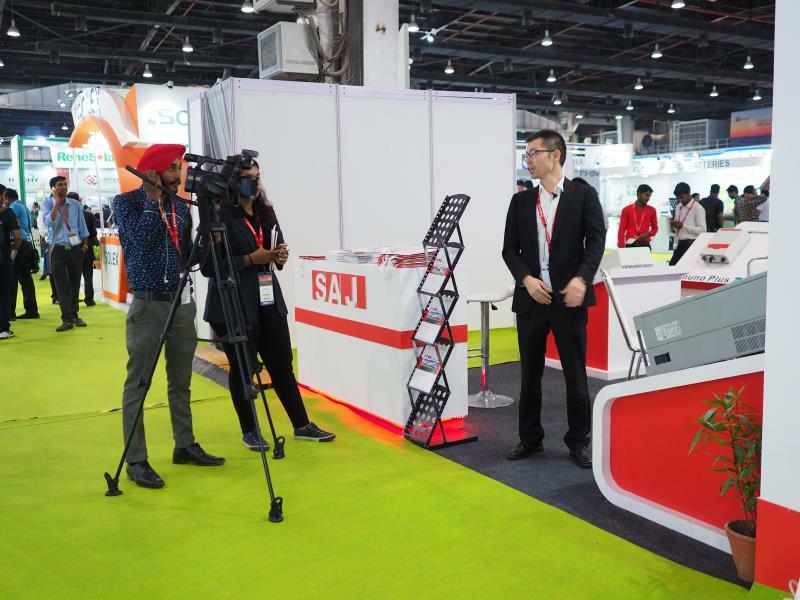 Complete SAJ products are presented and they’re reputed for stable performance, attracting many audience. Various customers just came on site to consult for more information. 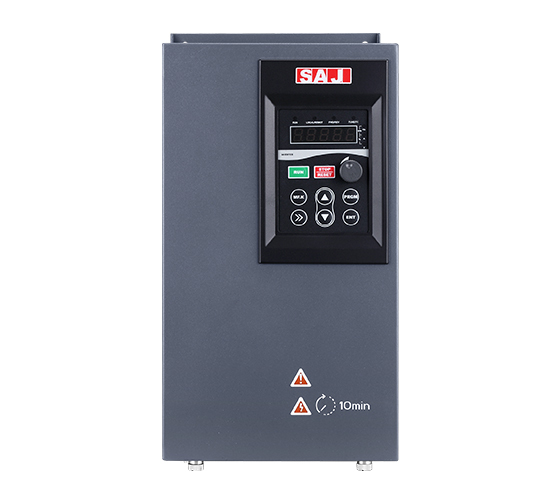 Moreover, local famous PV media Solarquarter has made exclusive interview to sales manager of SAJ on site. 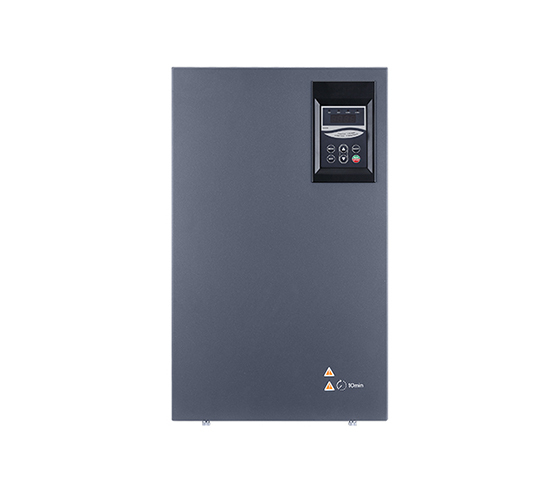 Customer: Solaris Energy Pvt Ltd.